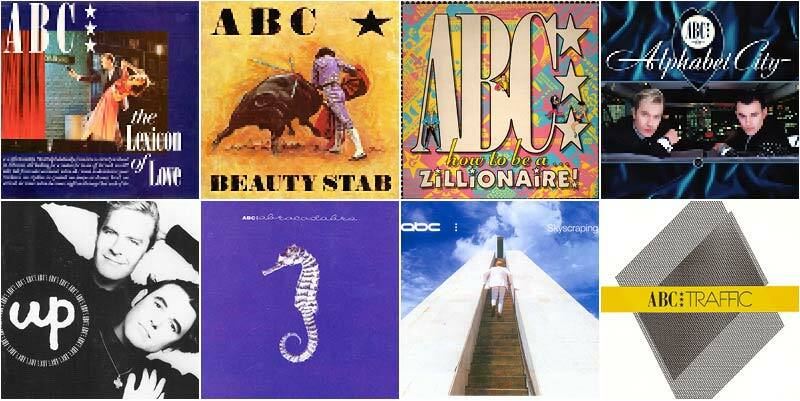 ABC are an English new wave band that first came to prominence in the early 80s. Their 1982 debut album, The Lexicon of Love, was a UK number one and they achieved ten UK and five US Top 40 hit singles in 80s. TABC band has its roots in the band Vice Versa, a Sheffield band formed in 1977 by Stephen Singleton and Mark White. They founded their own label, Neutron Records, releasing the EP Music 4. 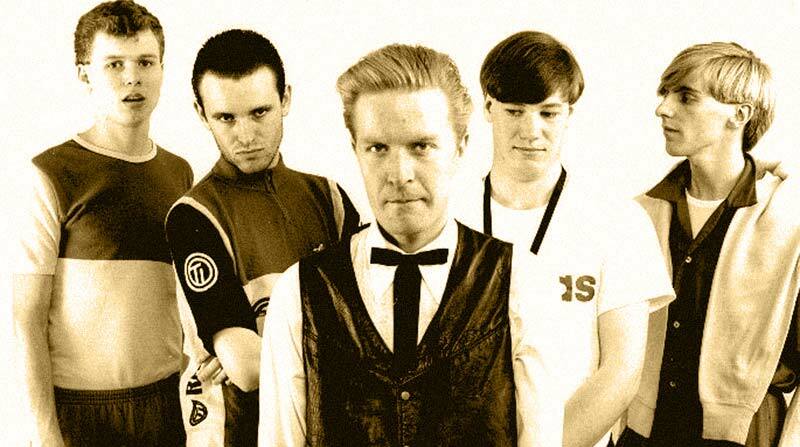 Martin Fry, who wrote the fanzine Modern Drugs, interviewed Vice Versa and shortly afterwards they asked him to join as synthesizer player. Fry accepted and by 1980 the band had evolved into ABC, with Fry becoming lead vocalist. The group’s first single, “Tears Are Not Enough”, made the UK Top 20 in 1981. Soon afterwards, David Robinson left the band and was replaced by drummer David Palmer. In 1982, the band released their debut album The Lexicon of Love, which reached number one in the UK Albums Chart. Produced by Trevor Horn, it often featured in UK critics’ lists of favourite albums: it ranked 42nd in The Observer Music Monthly’s “Top 100 British Albums” (June 2004) and 40th in Q magazine’s “100 Greatest British Albums” (June 2000). The band had three Top 10 hits during 1982: the singles “Poison Arrow”, “The Look of Love” and “All of My Heart”. Several high-concept music videos were made. Singleton left the band in 1984. Remaining bandmembers Fry and White then enlisted Fiona Russell-Powell (known as Eden) and David Yarritu. This line-up recorded the 1985 album How To Be A…Zillionaire!. The band’s chart success dwindled further in the UK with this album, but they did score their first US Top 10 hit with “Be Near Me”, which also made the UK Top 30. The album also featured the singles “(How to Be a) Millionaire”, “Vanity Kills” and “Ocean Blue”.Inspiration for the albums cartoons of the band member was taken from a Photo shoot by David Levine Photographer whose work featured on many of the sleeves for singles released from this album. Keith LeBlanc from Tackhead programmed much of the beatbox work for the album. After a hiatus, during which Fry was treated for Hodgkin’s disease, he and White reconvened ABC band as a duo, releasing the album Alphabet City in 1987. The album returned them to the UK Top 10 for the first time in five years, peaking at number 7. It featured “When Smokey Sings”, a tribute to Smokey Robinson, which narrowly missed the UK Top 10. The album also spawned “The Night You Murdered Love” (UK #31) and “King Without a Crown” (UK #44) as singles. In 1989, the duo issued Up, their fifth and final PolyGram studio album. This time experimenting with house music, ABC scored a minor UK hit with the single “One Better World”. A second single, “The Real Thing”, and the album itself were less successful. During this period, the group worked on a couple of outside productions aimed at the house music scene. One was Paul Rutherford’s (Frankie Goes to Hollywood) solo album and first single release; the other was for Lizzie Tear on the group’s own Neutron label. In 1990, the band released a greatest hits compilation album, Absolutely. This covered all of ABC’s albums up until 1990 and featured all of their singles. The compilation made the UK Top 10. A video package featuring promos was also released. One new song, “The Look of Love ’90”, was released to promote the package. The group moved to the EMI label (and MCA in North America), where they recorded the 1991 LP Abracadabra. Two singles, “Love Conquers All” and “Say It”, narrowly missed the UK Top 40, though a remix of the latter by the Italian production team Black Box appeared on the US dance charts. TV80s.com - Greatest 80’s music videos.